After I was first ordained a priest in 1984, my first assignment was to work in Youth Ministry in the Archdiocese of Puebla, Mexico. I ministered there for four happy years, mostly giving retreats to young people in the parishes of that region. When we went to give one day retreats, it was the custom for the local teens to bring a lunch from home, usually a “torta” which is the Mexican version of a sandwich. When lunchtime arrived, we had a tradition that everyone would place the lunch they had brought on a table, and one of us would give the blessing before the meal. But after the blessing, it was the custom that everyone would not just grab what they had brought, but instead would take their lunch from what someone else had brought to the table. It was a teachable moment that showed how Christian communities are called to be places for sharing. 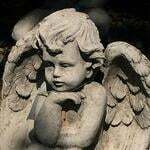 When we are open to place what we have on the table of life, a spirit is generated that goes against any egoism that may be part of our human condition. It’s an example of how the love and unity in the Church are multiplied when we contribute what we have in the spirit of Jesus. If there is a Bible story that exemplifies sharing and the good it accomplishes, I think it is the miracle of the multiplication of loaves found in all four Gospels. John’s version (6:1-15) is quite poignant in the details. I like that John shows how different Apostles reacted to the problem of how to feed the crowd of thousands who are following Jesus. Philip’s non-positive concern for the logistics of the situation was not very helpful: “Two hundred days’ wages worth of food would not be enough for each of them to have a little.” Andrew offers an insight that leads to a solution, commenting that there is a boy with some loaves and fishes. But more helpful than the two Apostles’ comments was the generous action of the child. Like the widow with her copper coin, this boy stands out for his act of charity. Among all those whom the Evangelist John highlights in this chapter, it is the boy’s willingness to share which allows Jesus to perform a miraculous sign for all to see and then believe. His gift was the point of departure for a miracle to occur. That small gift, transformed by the grace of Our Lord, was multiplied many times in Jesus’ blessing so that not only did thousands eat until they were full, but also twelve baskets of remnants were collected. Most important of all was that because of this heavenly sign, the people came to believe that Jesus was truly the Prophet they had been waiting for. 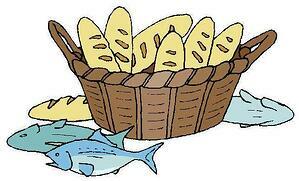 Just like the boy who shared his five loaves of bread and two fish, Jesus is able to multiply what we give in His name. His miracle of the multiplication of loaves was a sign that the Kingdom of God is being made present in the world. People came to believe because of what they saw. But Jesus needed something to get the miracle going, and it was an unselfish boy with a small gift who enabled Christ to perform that miracle. The Pontifical Mission Societies offer many opportunities for people of faith to share what they have received. Our youngest ones can benefit from the Missionary Childhood Association and all the opportunities this offers girls and boys to live holy lives. On MISSIO from the Pontifical Mission Societies, there are countless testimonies of religious and clergy around the world who are taking a few loaves and fish that are offered by the faithful and multiplying them to feed the hungry. Your comments and prayers that I have seen on this platform give me the strength to be faithful in my own journey. God will work wonders with the little that we share. Thanks for contributing to the building up of unity and love through the Pope’s missions and mission societies.